Item # 312836 Stash Points: 5,395 (?) This is the number of points you get in The Zumiez Stash for purchasing this item. Stash points are redeemable for exclusive rewards only available to Zumiez Stash members. To redeem your points check out the rewards catalog on thestash.zumiez.com. 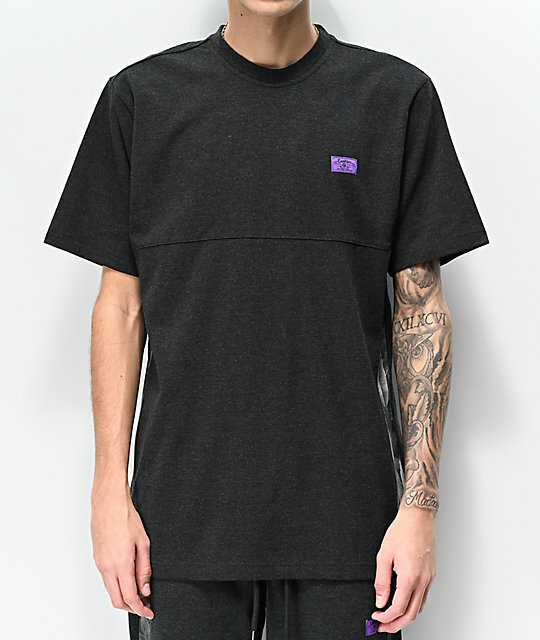 Simple and unique, the Emerald Triangle Charcoal Short Sleeve Knit Shirt from Cookies is a must-have for your daily looks. 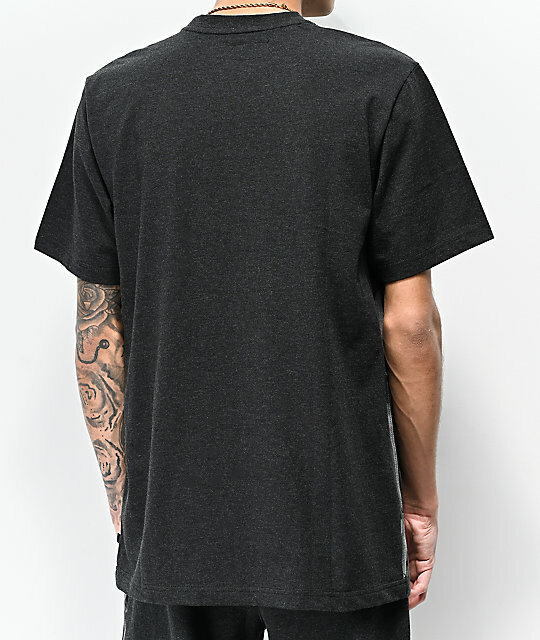 This mid-weight knit tee comes in a charcoal colorway, and features panels at each side with weed leaf print, for a hint of pattern. A relaxed fit and quality construction is sure to make this knit shirt your new favorite option for those casual days. 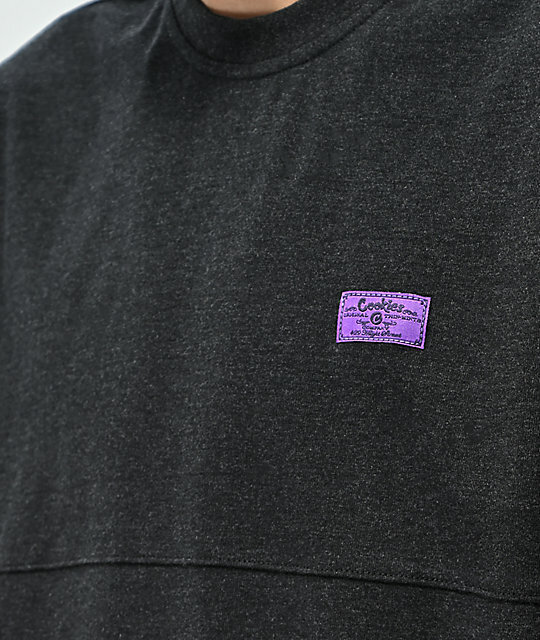 Emerald Triangle Charcoal Short Sleeve Knit Shirt from Cookies. Woven Cookies patch at the left chest. 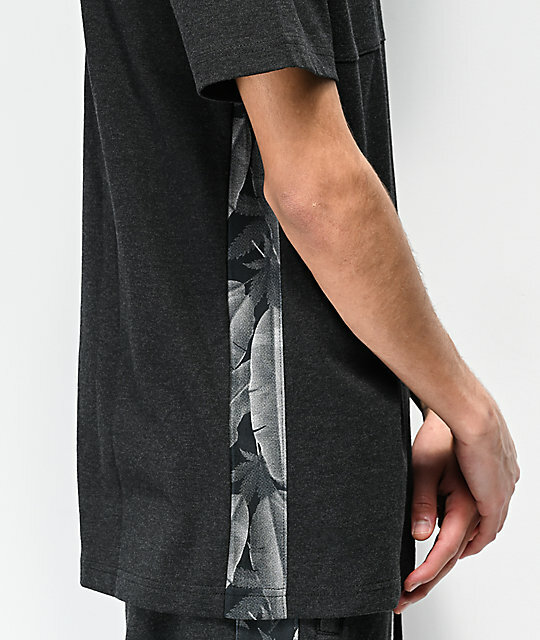 Charcoal construction with paneling at each side that displays a weed leaf print. Cookies brand tag at the left side seam.